With our bespoke hair and beauty salon furniture, King Cabinet Makers aims to offer comfort within a contemporary, practical design to create a relaxing yet inspiring environment for your clientele. From bespoke salon reception desk and waiting area seating, through to counters and hair basins, our furniture design will aesthetically flow whilst maximising the utility of your valuable space. Using the highest quality of solid wood and veneered materials or more modern techniques incorporating high gloss sprayed furniture finishes, our makers handcraft all parts of your salon furniture in our dedicated workshop. Final hard lacquer or paint finishes are achieved using the latest spray technology, offering a hard wearing perfect custom made furniture finish. With businesses open throughout the week, it is an advantage that we are able to manufacture your furniture off-site and we will happily complete the installation outside your business hours. We work alongside you to ensure your salon furniture meets industry standards and is ergonomically designed for functionality with style. Please browse our gallery and read about the projects we have completed. 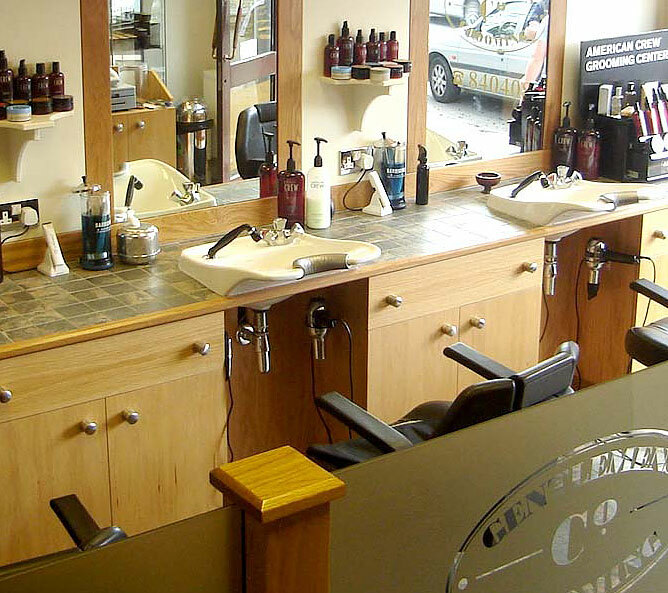 To discuss your requirements for bespoke salon furniture, please contact us and we will be delighted to assist you.